Martha Berry invite Mr. Faegele to speak on Sunday in chapel for the students. 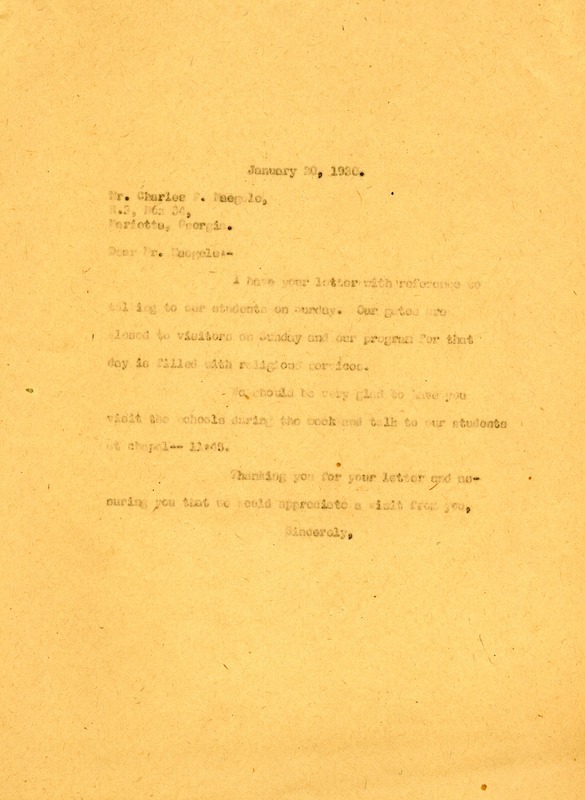 Miss Martha Berry, “To Mr. Charles Faegele from Martha Berry.” Martha Berry Digital Archive. Eds. Schlitz, Stephanie A., Chelsea Risley, et al. Mount Berry: Berry College, 2014. accessed April 20, 2019, https://mbda.berry.edu/items/show/13524.